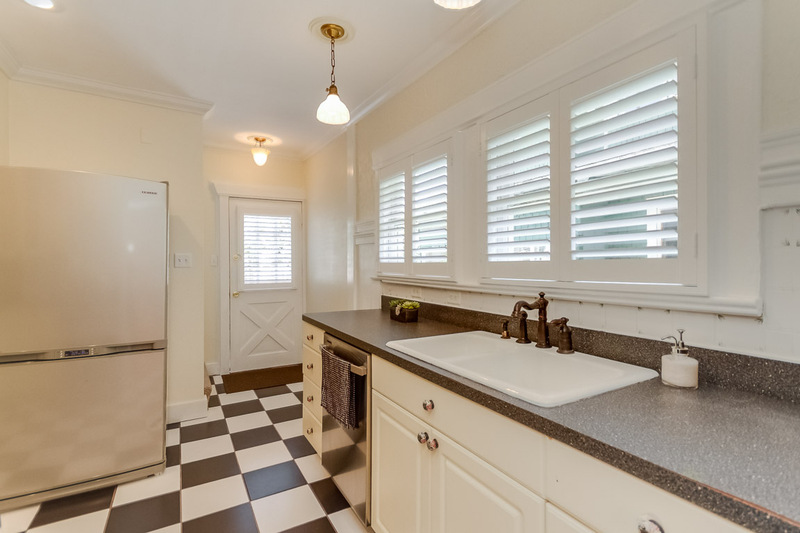 Location, lifestyle and historic living are a few of the words to describe your new home in the heart of Hyde Park and its historic Bungalow Terrace. 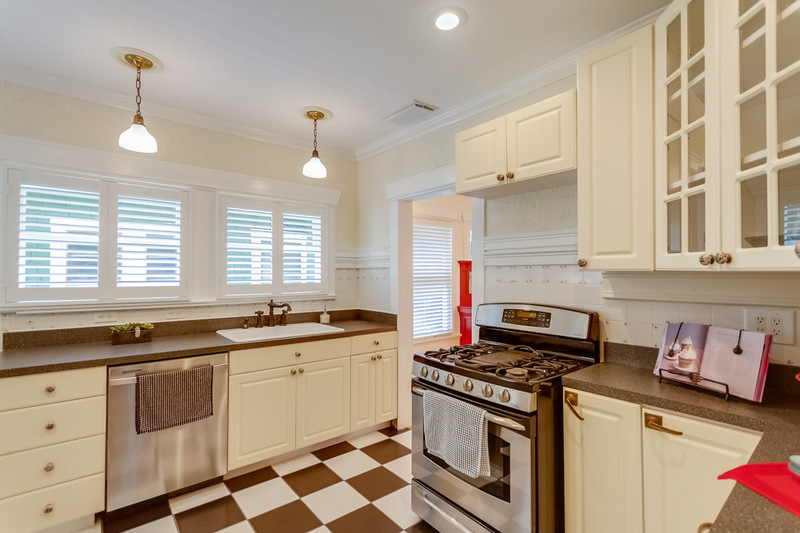 While the historic significance of this vintage bungalow is well documented, the beauty of this home’s interior is just as noteworthy. 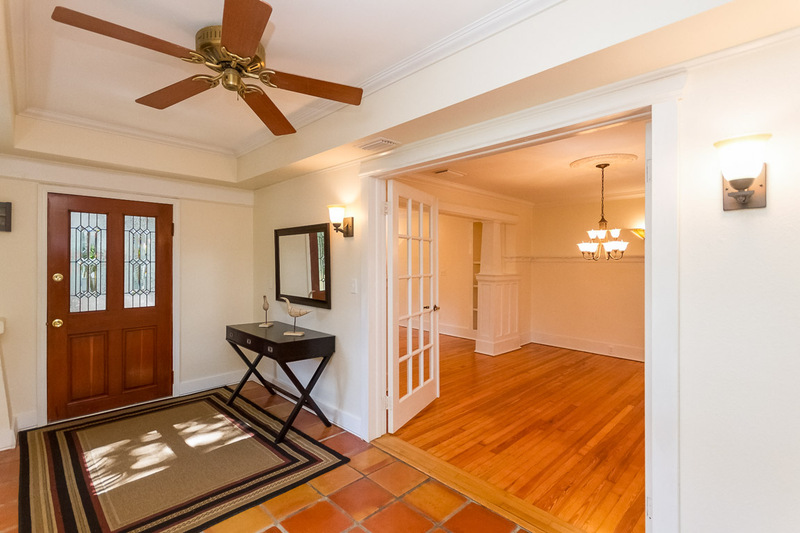 The moment you step through the glass French doors into the living area you will notice the Heart Pine wood flooring which has been meticulously restored to its original luster. 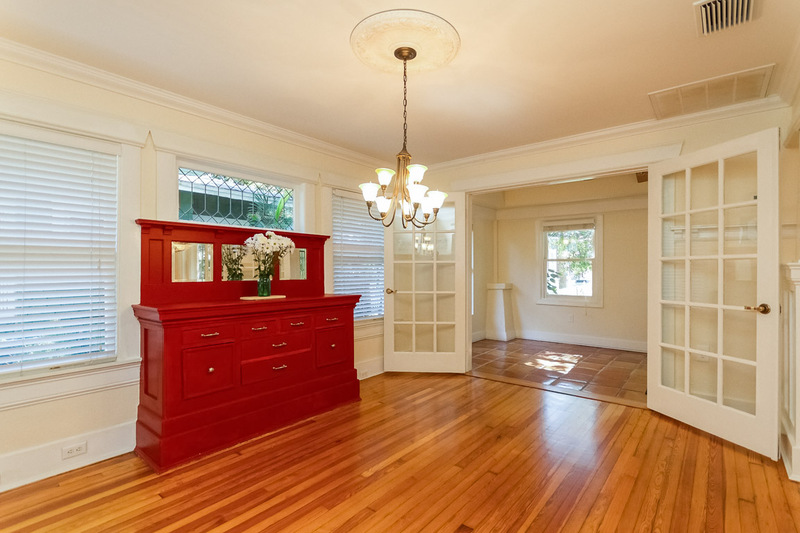 You will appreciate the original craftsman style built-in sideboard (buffet) and bookcases, a classic look of the California bungalow. The open and light filled living room has gorgeous antique leaded and stained glass windows while at the heart of this room is a wood burning fireplace. The kitchen has been enhanced with a new pantry system, creating more storage capacity while complimenting the generous counter space and cabinetry. 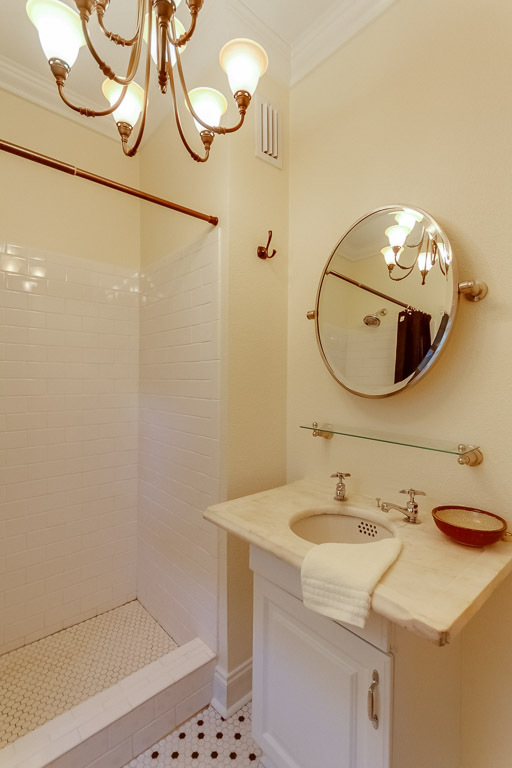 The master bedroom with bath is located on the main floor and features honeycomb tile, a walk-in shower and a vintage marble pedestal vanity. 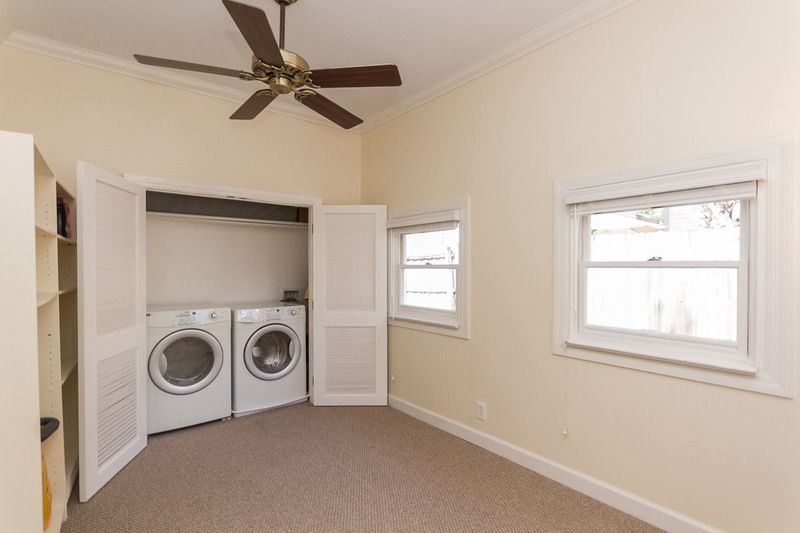 The second bedroom is well sized and located on the second level with windows encircling the room for plenty of sunlight. 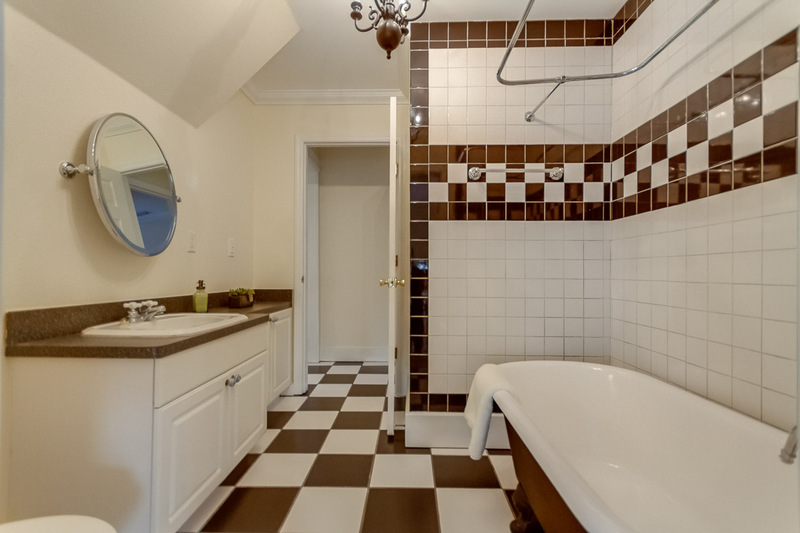 The guest bath has also been enhanced with the restoration of the 1920’s claw foot soaking tub and tile flooring. 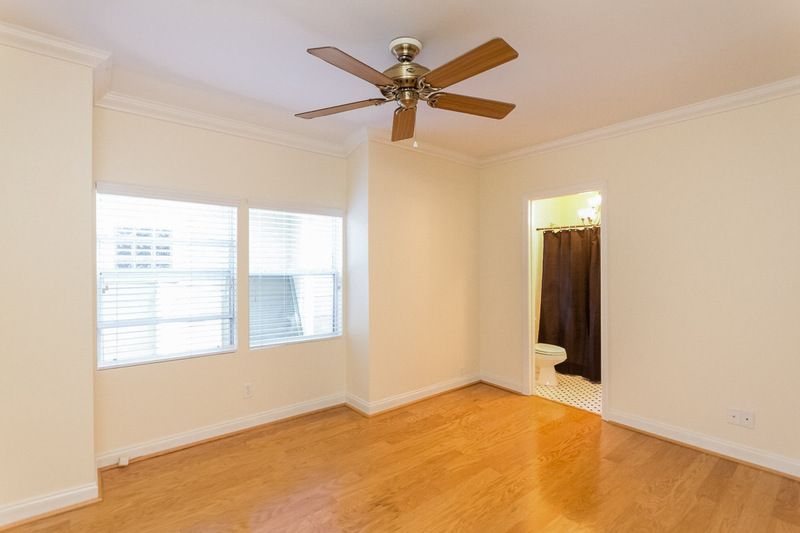 There is a bonus room with a separate entrance on the main floor that can be utilized as a home office, a meditation room or an additional guest room. 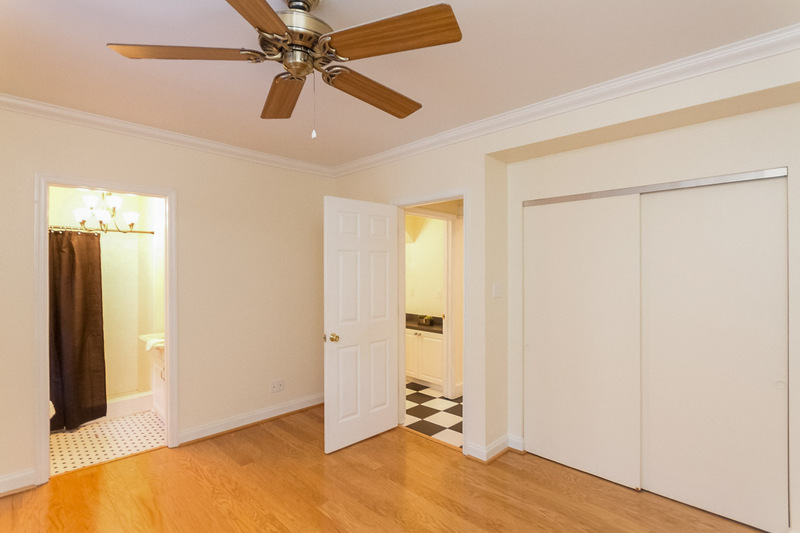 This home is currently rented and achieving $2,700 a month in rental rate. The location of this home is phenomenal! 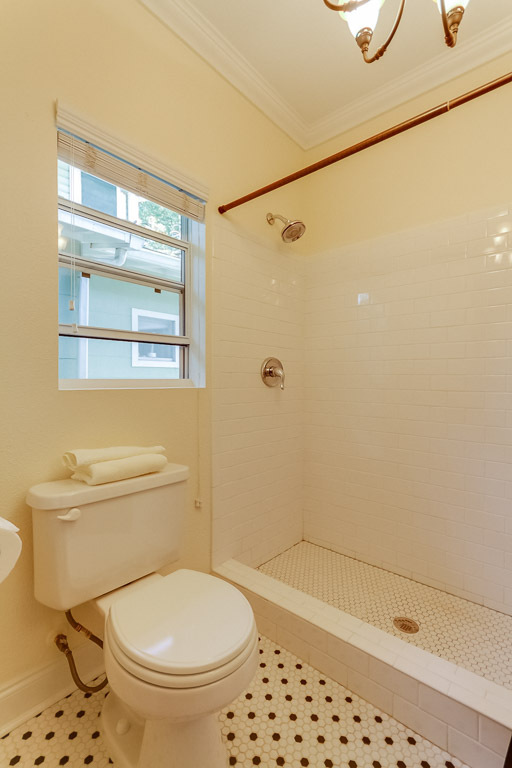 The property is located in the historic Hyde Park and Soho neighborhood, which has one of the highest walkability ratings and most extensive amenities in all of Tampa. A few steps from your door is the newly renovated Hyde Park village; with its restaurants, retail stores and entertainment venues. The Kate Jackson Community Center and Park are just around the corner and the many sidewalks and treelined streets are perfect when you desire a leisurely stroll. Additionally, you can easily bike or jog to the famous Bayshore Blvd which provides access to Tampa’s newly finished Riverwalk, Downtown Tampa’s Curtis Hixon waterfront park, Channelside District and Davis Islands. 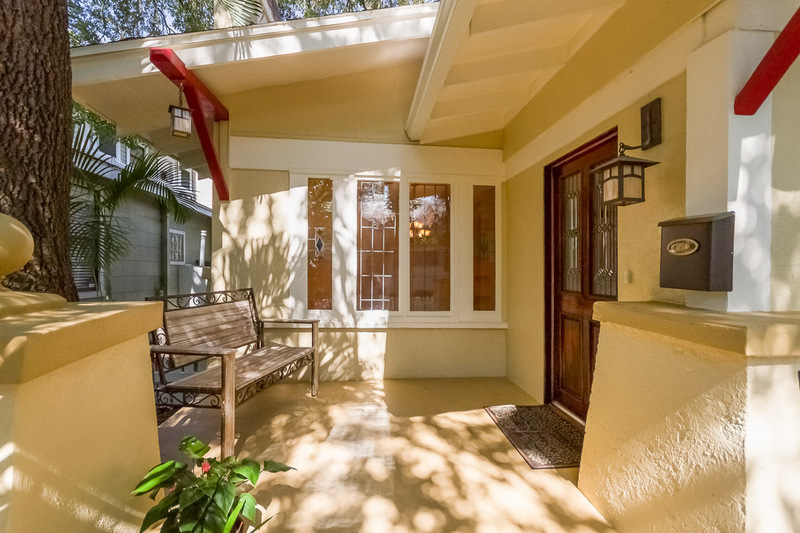 You will be within minutes of Tampa’s blossoming urban core, while at the same time having the benefits of living in one of Tampa’s most desirable neighborhoods. 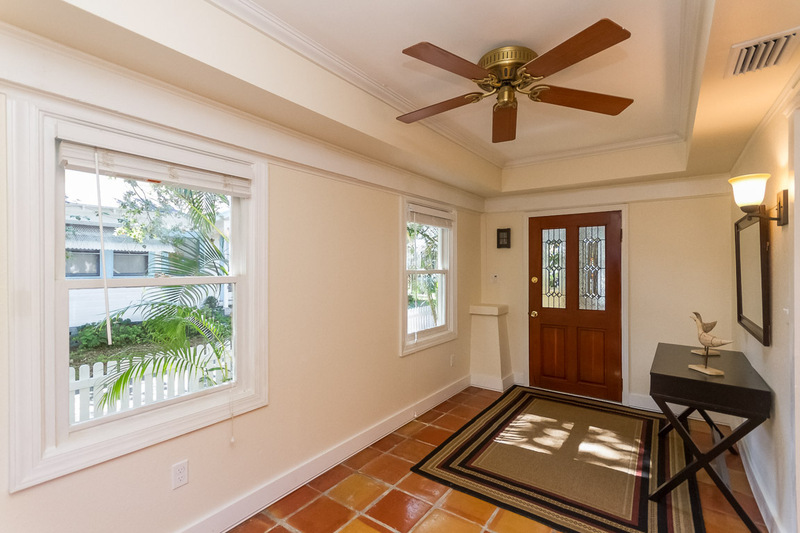 Finally, this home is located in the region of the top rated schools of Mitchell Elementary, Wilson Middle School and Plant High School. 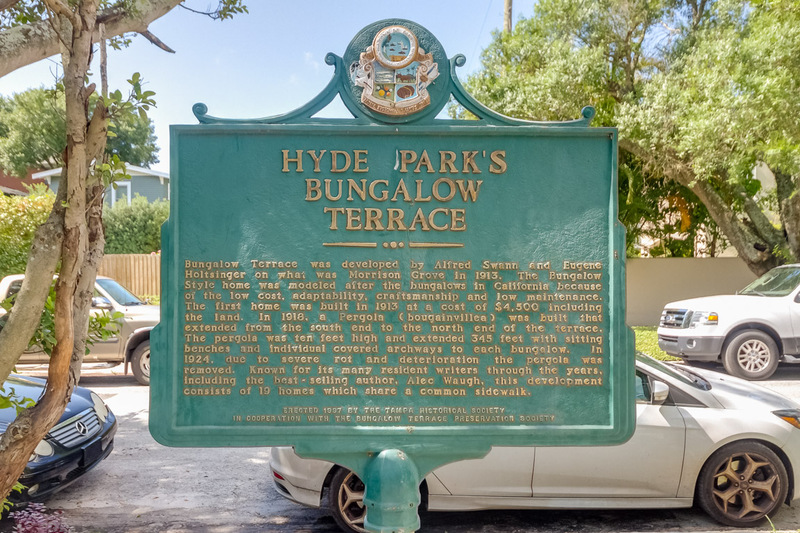 Location, lifestyle and historic living are a few of the words to describe your new home in the heart of Hyde Park and its historic Bungalow Terrace. 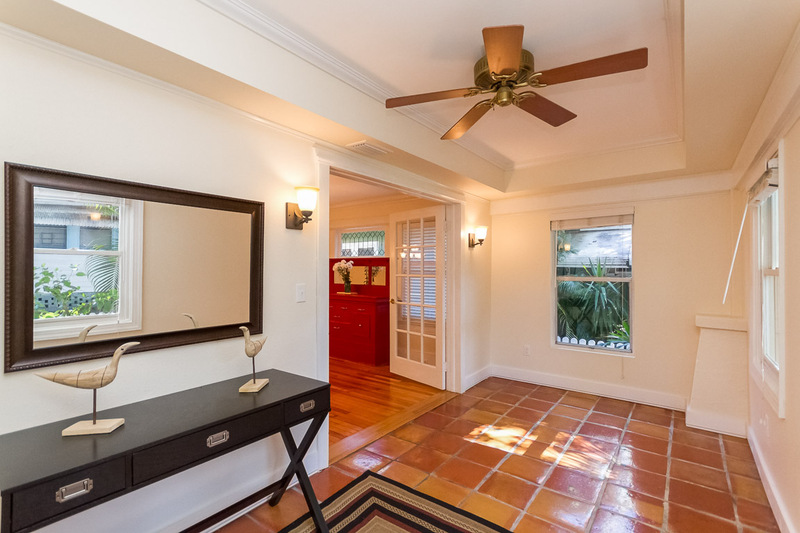 While the historic significance of this vintage bungalow is well documented, the beauty of this home's interior is just as noteworthy. 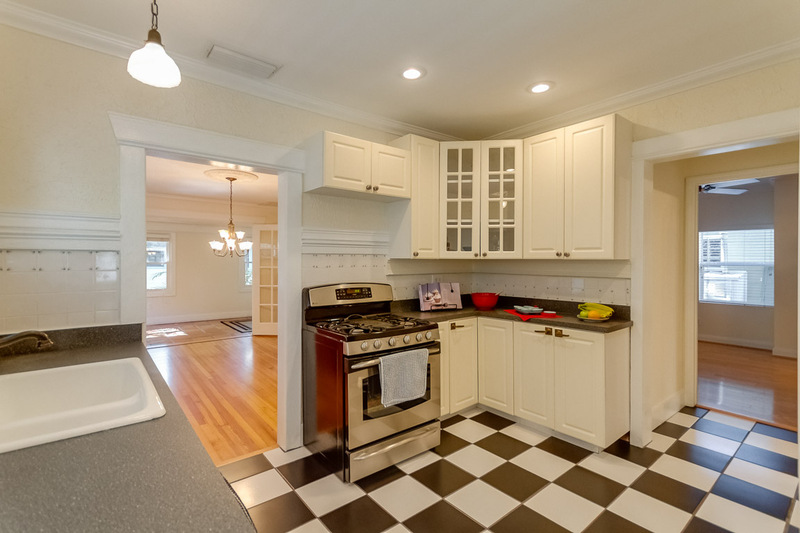 The kitchen has been enhanced with a new pantry system, creating more storage capacity while complimenting the generous counter space and cabinetry. 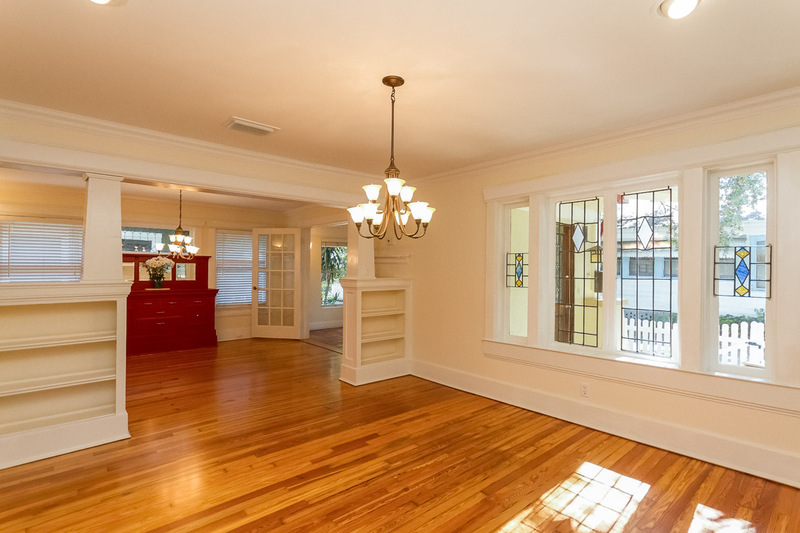 The moment you step through the glass French doors into the living area you will notice the Heart Pine wood flooring which has been meticulously restored to its original luster. 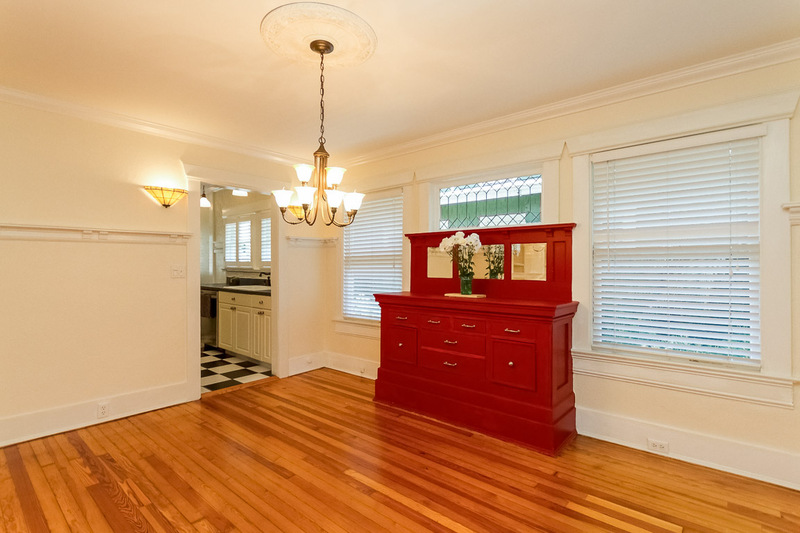 You will appreciate the original craftsman style built-in sideboard (buffet) and bookcases, a classic look of the California bungalow. 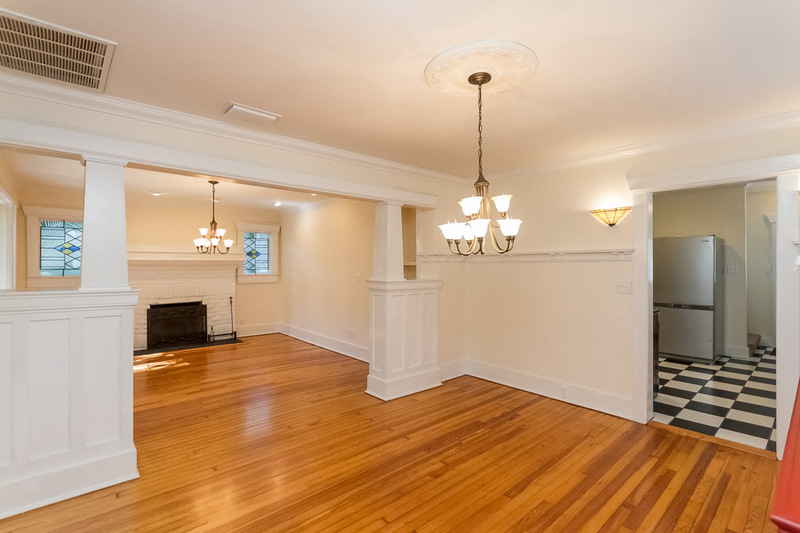 The open and light filled living room has gorgeous antique leaded and stained glass windows while at the heart of this room is a fully functional wood burning fireplace. 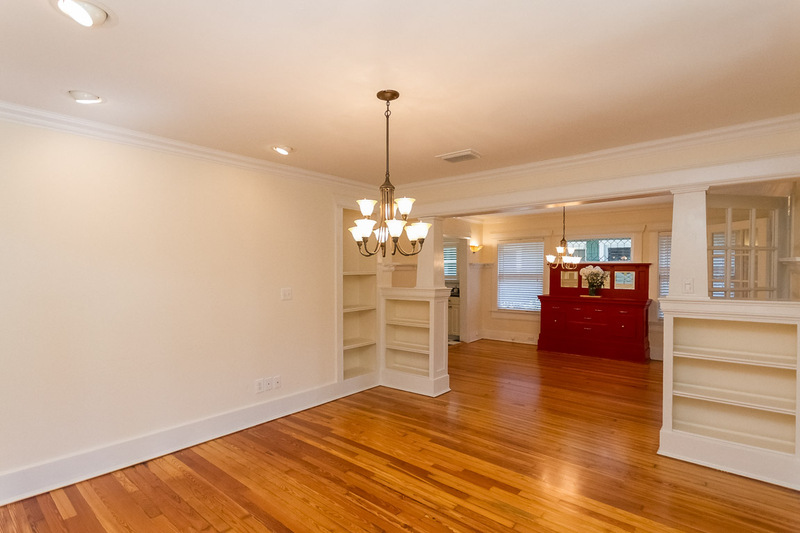 The entire home has been freshly painted and there is crown molding throughout. 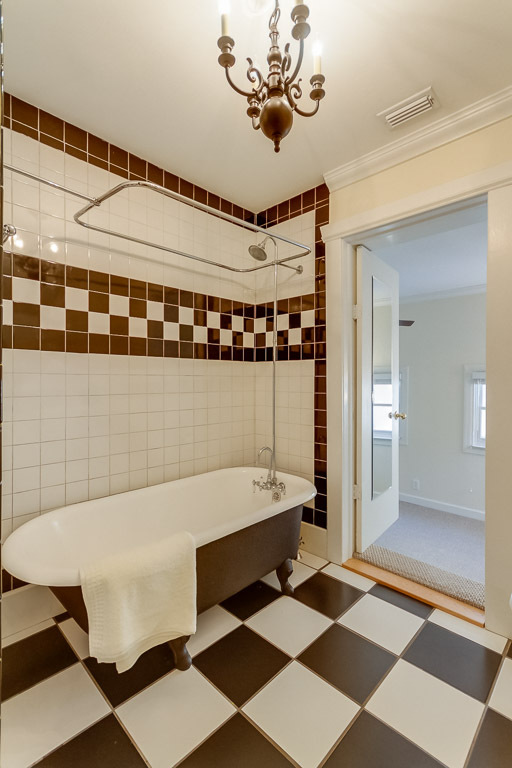 The master bedroom with bath is located on the main floor and features honeycomb tile, a walk-in shower and a vintage marble pedestal vanity. 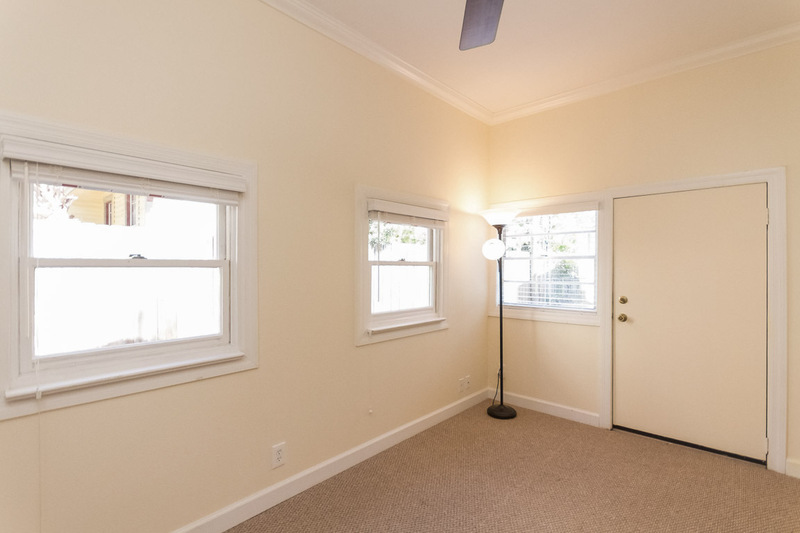 The second bedroom is well sized and located on the second level with windows encircling the room for plenty of sunlight. 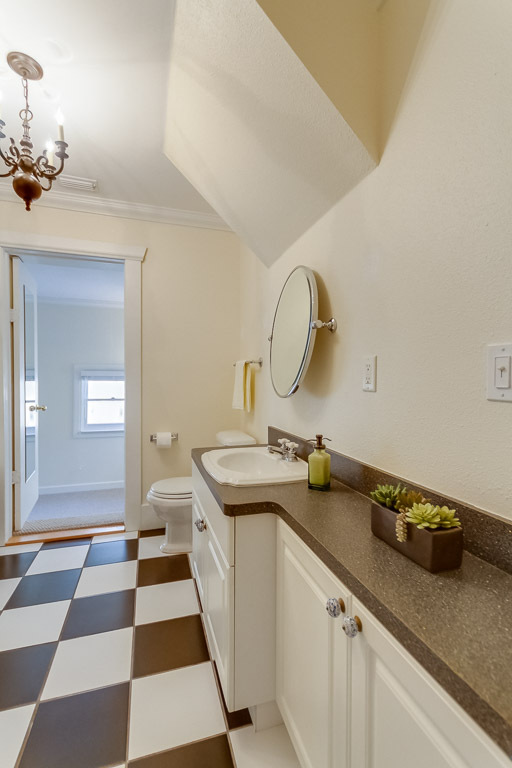 The guest bath has also been enhanced with the restoration of the 1920's claw foot soaking tub and tile flooring. 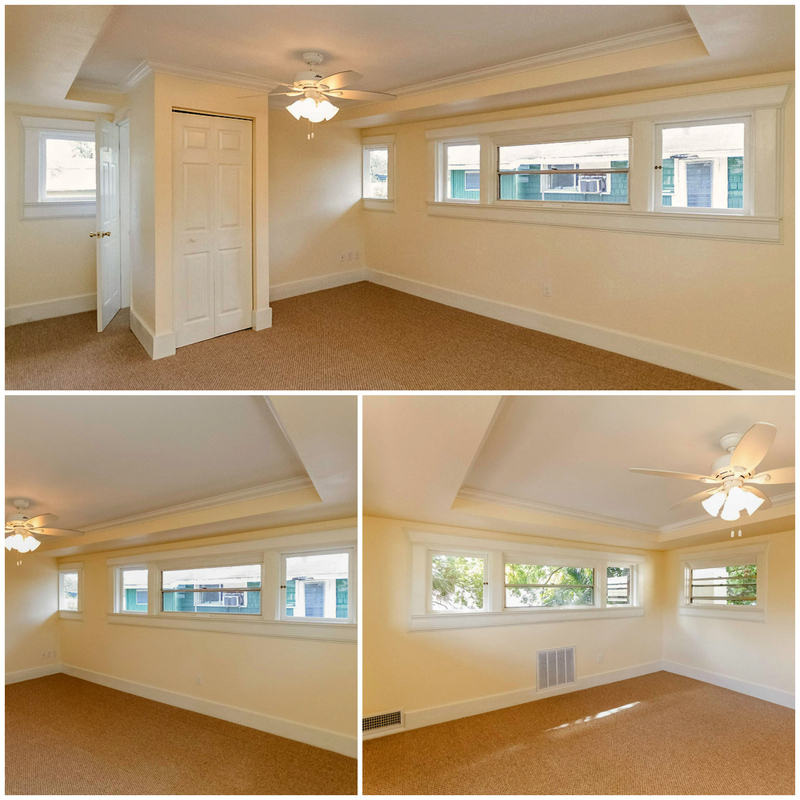 There is a bonus room with a separate entrance on the main floor that can be utilized as a home office, a meditation room or an additional guest room. The location of this home is phenomenal! 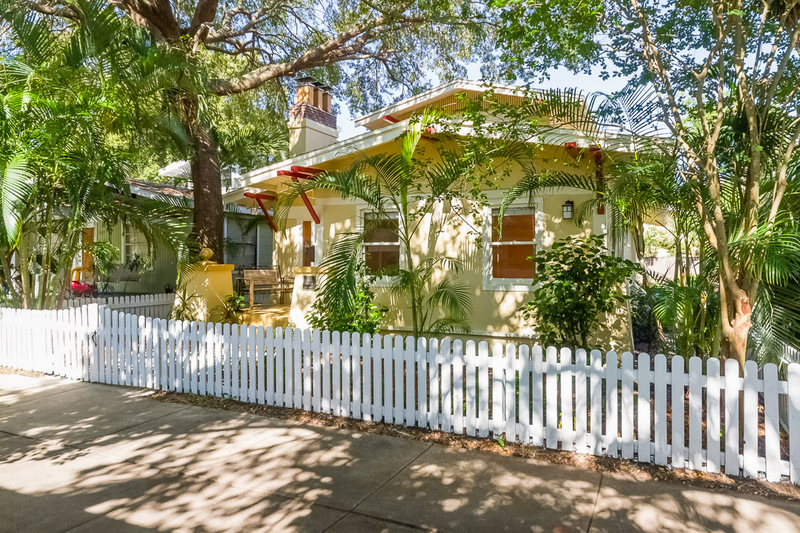 The property is located in the historic Hyde Park and Soho neighborhood, which has one of the highest walkability ratings and most extensive amenities in all of Tampa. A few steps from your door is Hyde Park village; with its restaurants, retail stores and entertainment venues. The Kate Jackson Community Center and Park are just around the corner and the many sidewalks and treelined streets are perfect when you desire a leisurely stroll. Additionally, you can easily bike or jog to the famous Bayshore Blvd which provides access to Tampa's newly finished Riverwalk, Downtown Tampa's Curtis Hixon waterfront park, Channelside District and Davis Islands. 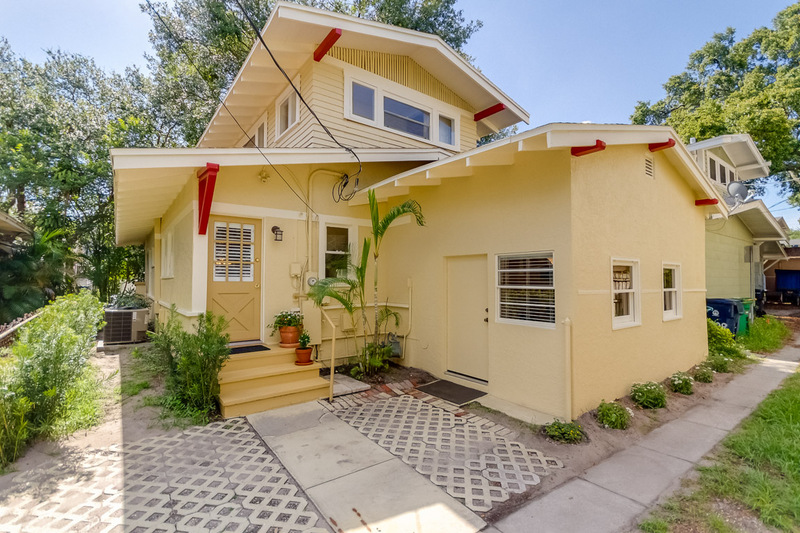 You will be within minutes of Tampa's blossoming urban core, while at the same time having the benefits of living in one of Tampa's most desirable neighborhoods. 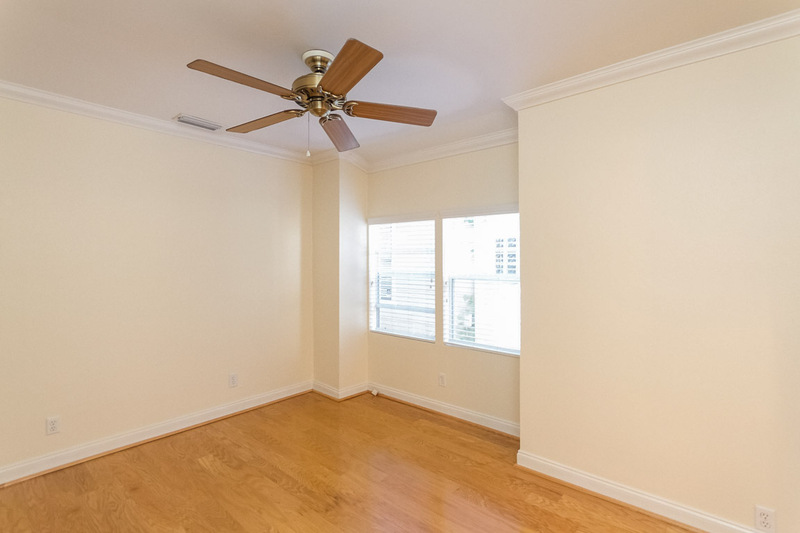 Finally, this home is located in the region of the top rated schools of Mitchell Elementary, Wilson Middle School and Plant High School.